10 whole years ago me and Adam decided to tie the knot. Simply put it was one of the best days of our lives. I know everyone thinks their wedding is the best but ours really was amazing in the most beautiful setting with our nearest and dearest. We have actually been together 20 years, we met when I was just 16 and got together shortly after. 9th November to be precise. We had the typical teen relationship with many arguments but way more laughs and 20 years filled with love. Att 21 we decided it was time to get on the property ladder, it was a good ish time we could have done with doing it a year before but we did get our house very cheap compared to a year later. Adam had already proposed to me and he is very traditional and asked my father first for his permission which I knew nothing about. He chose a beautiful ring all by himself and well he is extremely romantic. When deciding on where to get married it was fairly easy. Adam wanted to go abroad and the last holiday we had with my mom before she passed away was in Rhodes so it was set that Rhodes held a special part in both our hearts. 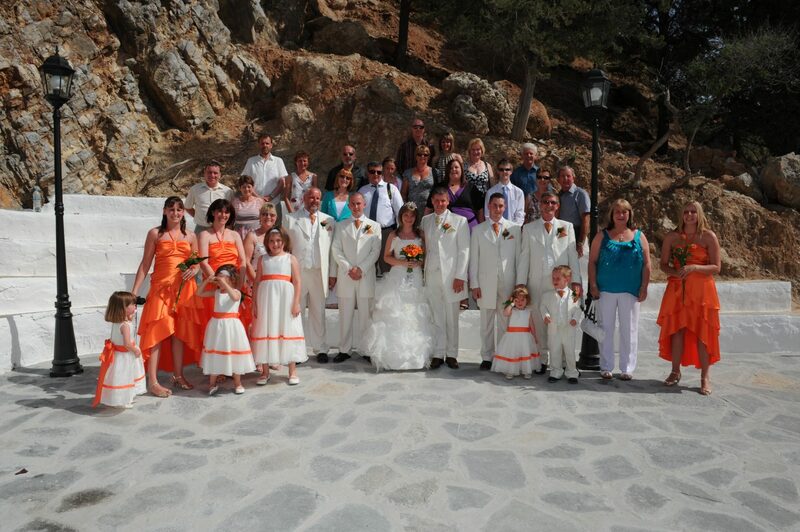 We found an amazing Wedding Planner (Lindos Weddings) who met us in the uk and in Rhodes and it couldn’t have been easier. The invites went out to all the special people in out lives and we had an amazing turn out of 33 people. Even our family from Australia came. 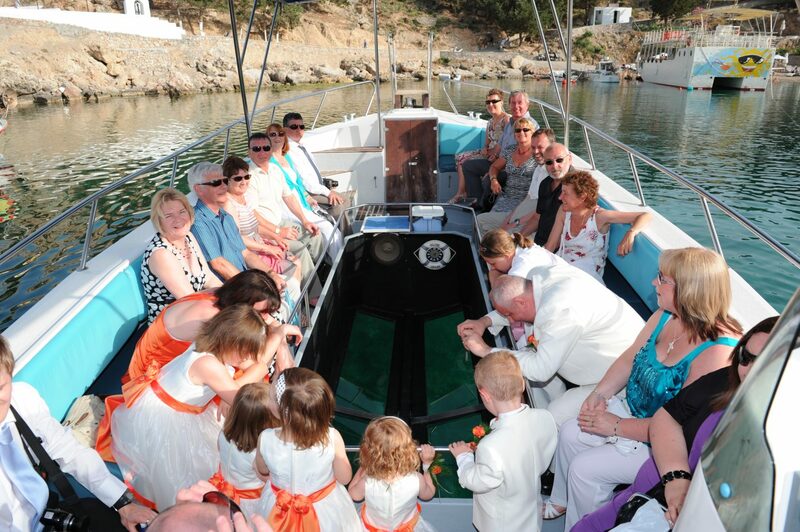 We got married at St Pauls Chapel in Lindos then had a champagne reception on the beach before a glass bottom boat took us too our hotel. We ate a three coarse meal and danced the night away. Best part was we still had everyone with us for another week to enjoy our honeymoon with and plenty of alone time too. Looking back I wouldn’t change a thing I just wish we could do it again and again. As you are reading this we are back in Rhodes back to the exact hotel (Lindos Mare) where our reception was, showing the kids all the places that we went on our wedding day. 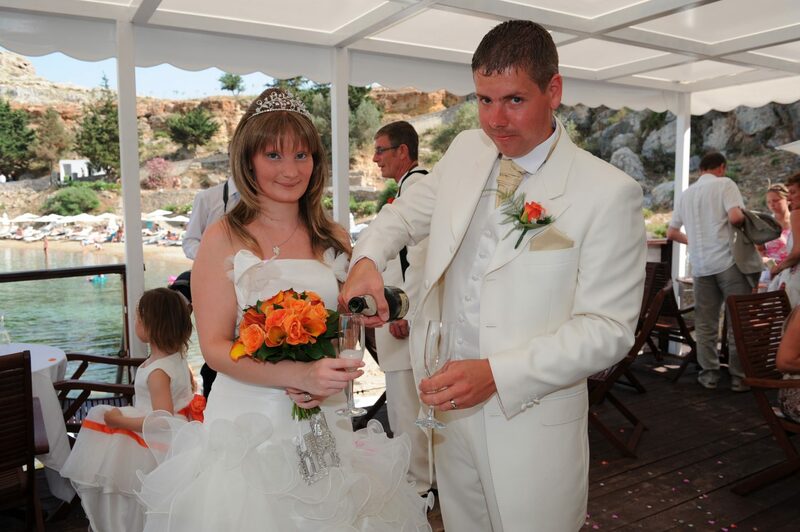 10 years have flown by 4 kids later and we are just as happy as we was the first time we met. We have had lows but they have been greatly shadowed by all the amazing highs. Adam really still is the most romantic caring thoughtful man anyone could wish for. He puts family above anything else and his favourite pastime is spending time with us. He makes me feel loved and like a princess everyday and I can’t imagine a world with out him. He is my rock my soul my everything and I can’t wait to spend forever with him.